Please join us for the next in our series of intimate lectures by renowned experts — and our first to take place in the fabulous Club Café Royal. The dynamic and engaging author, Lucinda Hawksley, will share with us her insights into the under-appreciated pre-Raphaelite women (artists, muses and models). The evening will cover the tragic life of poet, artist and muse Lizzie Siddal, as well as the influential roles played by many other women, including Christina Rossetti. Lucinda Hawksley is an author, art historian and public speaker, with a special interest in literature and art from the 19th and early 20th centuries and in the history of London. 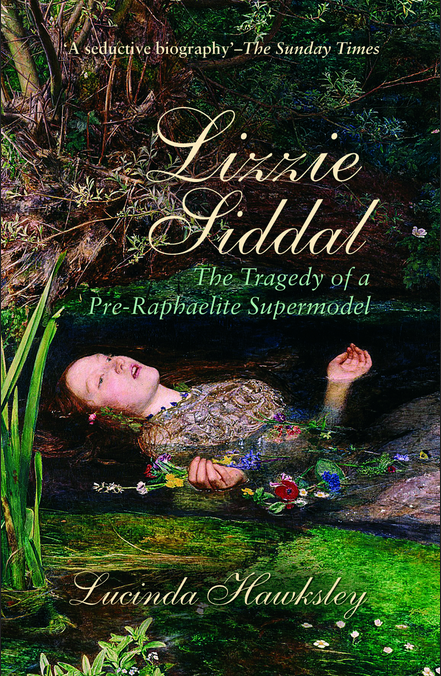 She is the author of more than six books, including Essential Pre-Raphaelites; Lizzie Siddal: The Tragedy of a Pre-Raphaelite Supermodel; March, Women, March; The Mystery of Princess Louise; and Charles Dickens (her great, great grandfather). Location: Club Café Royal (first floor of Hotel Café Royal): 68 Regent Street, London W1B 4DY.